Wow, how is it practically mid-March already? Hopefully this means the worst of winter is behind us (although we do have a big storm coming this week) and the weather will be getting warmer (but not too warm before Boston!) Here's how the last few weeks have gone for me. February started out well, and then the second half of the month turned into a big fat bust. My first two weeks were right on track - I hit 38 miles and then 40 miles respectively - and then last two weeks were pretty non-existent. First I caught a cold (first full week on a new job, too!) and then the second week I had some terrible, terrible fatigue issues, which despite my best stubborn efforts, I just could not run through. I think I might have logged like 15 miles between the two weeks! Thankfully I was able to get back on track last week, and was able to complete all my runs, including a 18 mile long run, for a total of 44 miles. The miles were slow, but I was happy to at least be able to get out there and run. I'm bummed about missing two weeks of training, but it is what it is, and I am going to just move forward to make the best of the next 6 weeks left of training! One of the nights I was actually able to get outside and run! Ehh - these did not go so great between being sick and starting the job, but at least it was a good measuring stick of what I can reasonably hope to accomplish in a month, right? C - I got in two weeks worth of speed workouts before I got sick, and then I could hardly run at all. Since I couldn't really help being sick, I don't want to be too harsh on myself. I will have to pick it up now that I am feeling better! F - First I used the new job as an excuse, and then I got sick, so yes, no strength training for me. F- - Hah, not only did I not swim, but I'm not even a member of a gym! I am in a bit of a new transition with the new job, and potentially moving this summer - but I do need to figure out a short term solution. Keeping an eye on the prize - Boston! 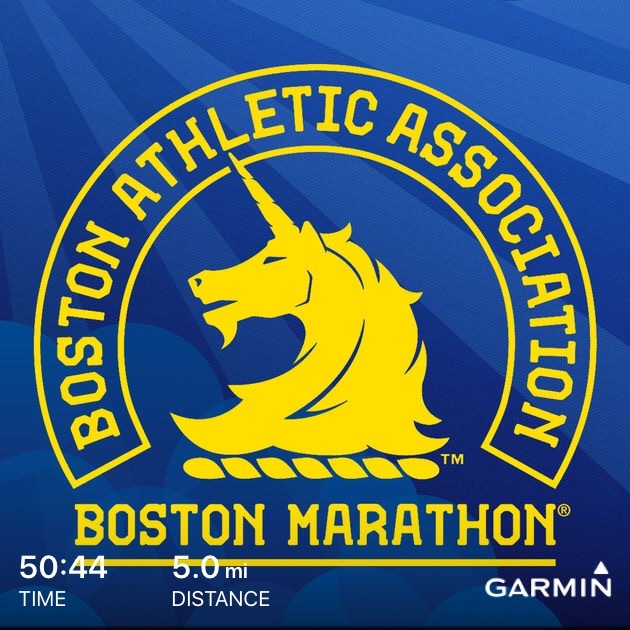 March is peak mileage time for Boston - and even more critical for me more than ever, since I lost so much time in February. 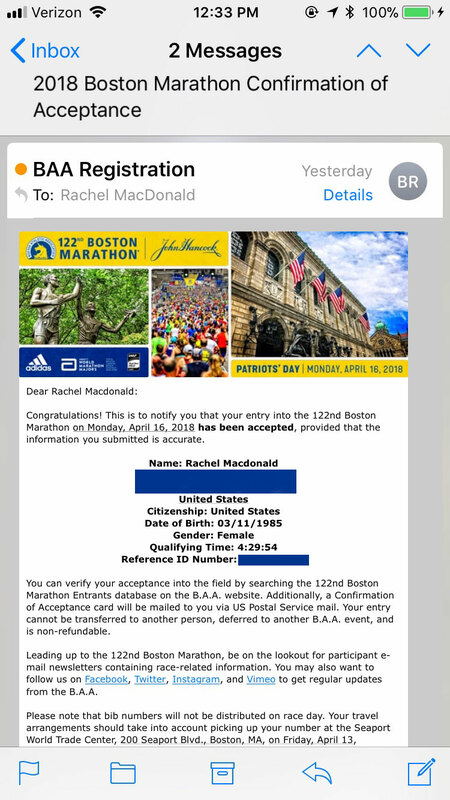 With that in mind, I really want to focus on putting my best foot forward the next few weeks and put myself in the best possible position to succeed in Boston, and not try to overload myself with too much "new" cross training until after the heavy miles calm down. Make sure to get in one quality workout a week. I may have to adjust the workouts in my plan since I missed a decent chunk, but I do want to make sure to try and pick up the speed - without putting myself into major fatigue again. Make better food choices. 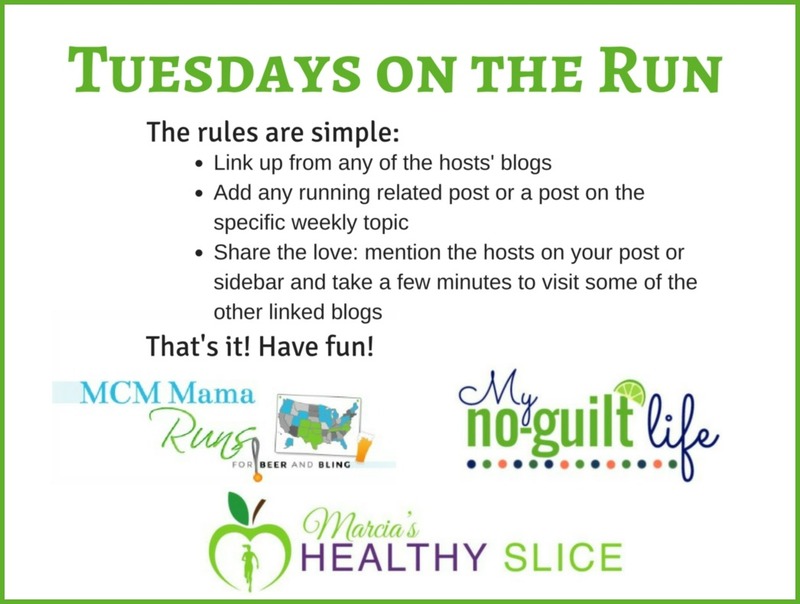 I don't want to get too caught up in the scale and end up depleting myself, but I do want to focus on make the right choices to fuel my runs better. Less wine, more veggies! Take some time for myself. I have a lot on my plate this month between marathon training, a new job, some exciting partnerships ahead (more on that coming soon!) house shopping, and lots of family obligations. But if I don't carve out some time for myself to relax, I will fall apart at the seams. Find a place to swim. Right now I am in between gyms, but I need to find at least a place to swim, since it will be months until I get back into the open water again. While the new year has been in swing for a few weeks now, I feel like my year is still first starting. I kicked off the new year running 4 races in 4 days in Disney as a part of the Dopey Challenge, and now I am taking some time off to recover from surgery. Since I'm forced to take the extra time off (which is probably not the worst thing in the world, considering I finished Ironman 70.3 Maine in late August, Philly Marathon in late November, and now Dopey in early January), it's a great time to sit back and try and set some new goals for the coming year. Guys, I was so close to this in 2017. Currently, my marathon PR is 4:26 from 2013, but my half marathon PR of 1:56 is from last fall, so I know I can at least edge closer to the 4 hour mark. 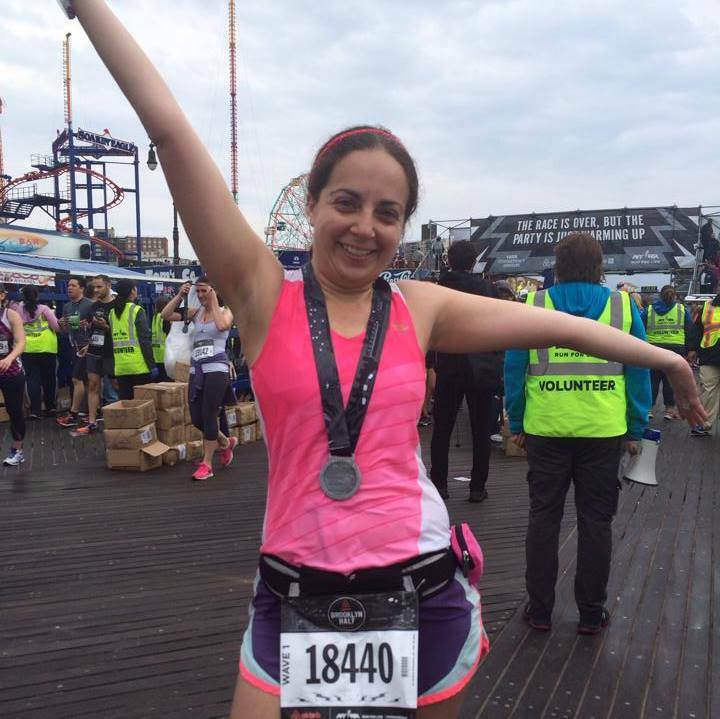 When I was training for the Philly Marathon, I was using NYRR's Virtual Trainer program. The selling point of this training plan to me is that the plan is dynamic, meaning as you input your training runs, the program adjusts your mileage, and predicts your marathon time. At end of the program, it predicted a 4:05-4:10 finish for me. While I thought that was a little ambitious the program was on drugs for thinking I can run a marathon that fast, I did feel confident that I would be able to smash my old PR. Unfortunately, Mother Nature had other plans for me on race day. Winds were gusting at over 50 mph, and I had to run into crazy headwinds for the majority of the race, which of course made the race that much more difficult. I finished in 4:29, which is still my second best marathon time, but not the time I thought i was capable of running. I also managed to run the marathon during Dopey in 4:31 - which is my 3rd fastest time - which I think is pretty promising considering I ran a 5K, 10K, and half marathon consecutively the days before, plus walked an additional 8-10 miles a day in theme parks. 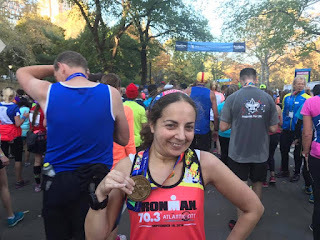 26.2 in 2018 - I am coming for you! From late 2014 until mid 2016, I sort of let my weight slowly get a bit out of control. I would never say I was overweight per say, but my weight was the highest it's ever been in my life. Most of my clothes did not fit well, my running was really suffering, and I just did not feel good about myself. Training for my first half 70.3 helped snapped me out of it that (have you seen how unforgiving those tri suits are?!) along with very diligently tracking my food using My Fitness Pal and cutting back on my wine. I sort of let that slide in second half of 2017, and while i haven't gained back all the weight, I have gained back a decent amount. I'm hoping to find that balance this year between not having to track every little crumb I eat on an app for the rest of my life, but still being able to look and feel good. Ask me to bike or run for 3 hours at a time - sure, no problem. Ask me to lift a few weights for 20-30 minutes, and I can't seem to get it done. Strength training is something I always seem to struggle with. 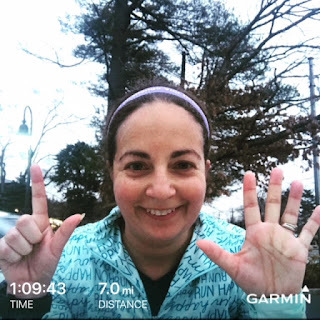 I generally do not enjoy it, I do not feel like I know what I am doing, and I don't think I am very good at it (although in full disclosure, I am not a great runner or triathlete either, and that hasn't seemed to stop me, either!) But I do understand the important of weight lifting for overall fitness and in maintaining my weight, so I need to figure something out. I am hoping to find a class or two that I enjoy enough to be able to incorporate into my weekly routine. Wow - it's been a long time since I last updated. 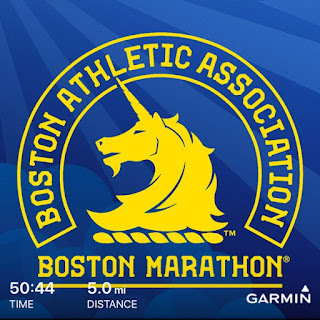 Last time I posted, I had just finished the first race of the BAA Distance Medley. I am happy to report that while I did go on to finish the other two races (including my first sub 2 half at the final race), I've also run a ton of other races, too! Here's a quick synaposis of what's been going on the past years. This is probably why I fell off the blogging bandwagon to begin with - wedding planning is a ton of work! My now husband proposed not too long after aforementioned BAA 5K, and then my life became a whirlwind. We got married on October 6th, 2013 at the Water's Edge in CT, and it was absolutely perfect. 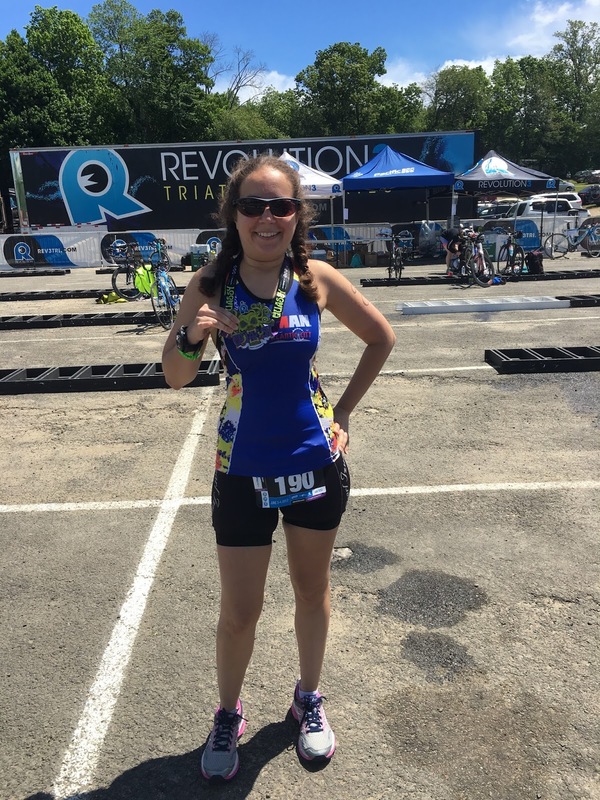 I became an actual triathlete! While yes, at the time when I was first blogging, I was dabbling in triathlon. 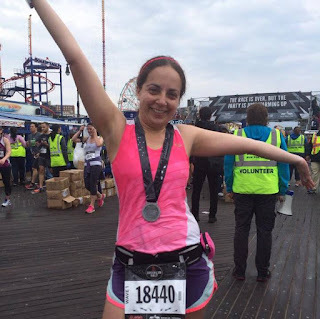 I had completed the New York City Triathlon twice (once in 2012, and then once again in 2014) but truth be told, I had no clue what I was doing. I was using regular running shoes on the bike, and relied on the super fast current of the Hudson to push me through the swim. That all changed in late 2015, when Atlantic City announced they were hosting a new Ironman 70.3 race the following year. No hills on the bike? Sounded good to me! I learned how to become an actual cyclist (err - still working on that one...but hey, at least I can clip into my bike so I look like i know what I am doing) and learned how to swim for sport (errr...still working on that one too...but hey, I can make the swim cut offs!) and became an Ironman 70.3 finisher. I would love to make the jump to a full Ironman one day, but in the meantime, I am doing my best to keep swimming and cycling in the mix, so I can complete one 70.3 a year in the summer in between marathon seasons. I ran all the races! 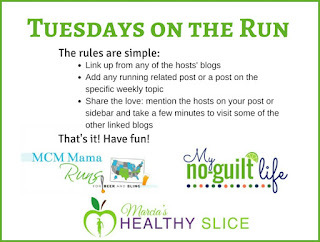 While I would love to to recap all the races I've run since I last started blogging, it is simply just out of control! When we first left off I was training for my third marathon. Now, I just finished my 12th marathon last Sunday, during the Dopey Challenge (more on that later.). My half marathon count has also gotten quite high - I hit 69 during Dopey last weekend. Although I haven't hit a new marathon PR since 2013, I did just run a half marathon PR in September (1:56), so I am hoping that elusive new marathon PR is on its way this year. Four days, four races, 6 medals - definitely Dopey! Not exactly the happiest of updates, I know. 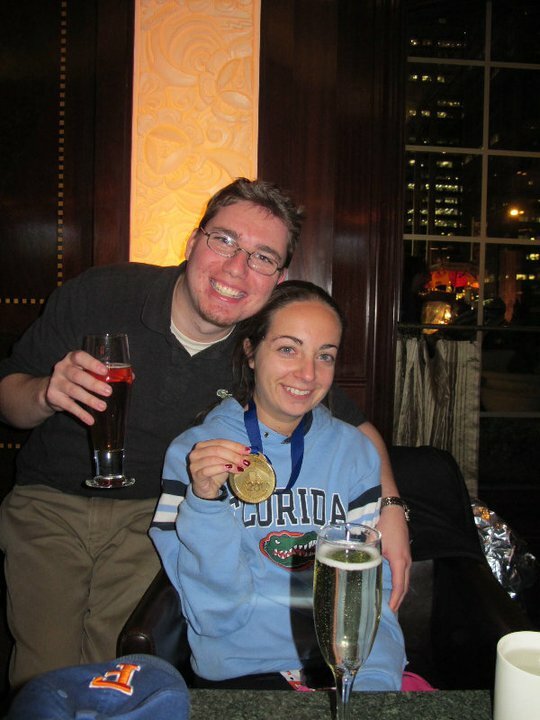 But, if you ever read my "about me" page, you know he is pretty much the reason why I started this whole crazy journey, so it would be negligent to not talk about this on my running blog. He passed away very suddenly this past April, and it was by the far the hardest thing I ever had to face in my life. Perhaps later on I will have the courage to write a more detailed post, but for now, I will just leave it as I am still missing him very much, every day. This past weekend was the grandfather of all marathons, the Boston Marathon. Although I wasn't in town to run the actual marathon (I'm only 57 minutes over the qualifying time to enter the race..nbd), I was running the pre-marathon 5K. The B.A.A. 5K is the first in a new three race series, the B.A.A. Distance Medley. Mike's roommate from college, John, is from a suburb right outside of Boston. Since he's a new runner himself, we both signed up for the whole series. It's a good way to keep him motivated, and an even better excuse for Mike and I to get to make a few trips up to Boston over the year. We hit the road early Saturday so we could be at John's place by the early afternoon. The drive was fairly uneventful, and we made great time. We got settled in for a bit, and then headed right back out to the expo so we could grab our packets for the am. Once we reached the Seaport in South Boston, I got pretty excited. I've been so many expos over the years, but this one just felt different. After all, it's Boston. Even if I wasn't there to run the actual marathon, it was still exciting to be in town for the weekend. The first thing we did when we got there (other than me stopping to take pictures of every sign that read "Boston Marathon"....yes I'm that lame) was to head back to find the 5K pick up. After all, that's what we were there for, right? We kept following signs until we found the room where it was being held. I was a little disappointed that they were already out of xs shirts, but other than that, everything ran smoothly. Afterwards we wondered around some of the booths. There weren't any vendors there that I haven't seen before, but it's rare to see them all in one spot. It even felt larger than the New York Marathon expo to me, but maybe it was because the space was unfamiliar to me. I'll admit, I had to control myself from buying any B.A.A. marathon merch (after all, I wasn't running the race!) If I ever do get to run the actual marathon, I better start saving now, because if I do, I'm buying out the expo. After the expo, John took us on a little tour of South Boston. We walked around a bit until we ended up at a bar in the South Market to catch the Bruins game. While I personally have zero interest in hockey, I was outnumbered by the boys. Plus, I was absolutely interested in the delicious calamari and house-made chips and onion dips at the bar. What? Fried food and wine are not optimum pre-race fuels? Nonsense. We eventually headed back out of the city to pick up bagels for the am and grab an easy dinner before our early wake-up call. Even though the race didn't start until 8 am, we had to leave his house at 6ish. Yuck. Waking up is definitely my least favorite part of racing. Before I knew it, the alarm was going off for me to get out of bed. I got dressed, headed downstairs and hit the road. Instead of driving directly into the city and dealing with the lack of parking the inevitable road closures, we drove to the nearest "t-station" (Boston's public transportation system) that was outside of the city, and trained in. By the time we got to the race's start at Copley Square, it was almost 20 minutes to the gun time. I had time for about a mile warm up, and then I wiggled my way to a decent starting spot. Close to the front, but not too close. Unlike most NYRR races where you are given your corral based on your past performance, you had to seed yourself. Supposedly there were signs for pace suggestions, but it was too crowded for me to see anything. As I toed the line, I honestly had no idea what was going to happen. I haven't gotten in many quality workouts, due to my allergies ruining my life the past few weeks. 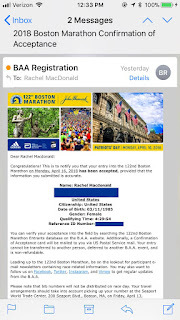 But I was in Boston during marathon weekend. I was going to give it my best shot. The gun went of, and I quickly found my stride. The first half mile went by a little too fast - I looked at my Garmin and it read that I was under a 7:30 min/mile. As much as I would of loved to hang onto that pace for the whole race, it was already feeling rather difficult. As the mile went on, I slipped to about a 8:15 min/mile. Towards the end of the mile, I spotted a hill. What?! The website clearly said "flat and fast." I am from Miami. Flat and fast means f-l-a-t to me. Clearly, that definition is more flexible in the northeast. The hill must of rattled my pace, because I clicked off the first mile in 8:45. Luckily, what comes up, must come down, and I was able to regain some speed in the beginning of the second mile. It was tough to push through, but I tried to keep going. I heard someone shout behind me "Oh, we're going at about a 8:30 mile pace" rather easily to his friend. Hmm, this pace was not conversational to me! After what felt like eternity, the Garmin clicked off my second mile at 8:30 min/mile. One more mile, I told myself. Just keep going! The pace definitely felt uncomfortable to me, but I did my best to hang on. Surprisingly, the Garmin seemed to hover at around a 8:20 min/mile. Finally, we made the last turn onto Boylston Street. I don't know my way around Boston very well, but I do know the final stretch down Boylston Street meant the finish line was very close. I saw the line in the distance, and thought for a split second I might be able to crack 26 minutes. Clearly, the finish line was a bit deceptive, because as I ran harder and harder, the line didn't seem to get any closer. I gave it one last push, and finally, I crossed! Final time: 26:50. I made my way through the crowd, and stopped before the finisher's tent to try and catch John. He didn't have his phone on him, so I was a little worried about how we would all find each other. Luckily, Mike had staked out a great spot right by the finish, and spotted him as he crossed. Since Mike was able to text me when he saw John finish, I was able to grab him right before the tent. As we proceeded through the tent, we got a pre-packaged food bag and our medals (yes, medals for a 5K!). Even though it was a short race, I thought it was a nice touch, especially for those who were racing for the first time. Once the three of us all re-grouped, we made our way out of the finisher's area as quickly as possible. It was still so early, so we decided to take advantage of the rest of the day to explore the rest of Boston. John was a great guide, and we did the touristy thing by checking out most of the stops on the Freedom Trail. The last time I was in Boston I was about 17, so I only had vague memories of the sights. And since Mike is a social studies teacher, the history is never old to him. 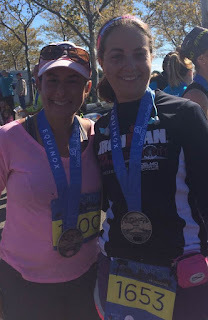 While the weather was warm for running (sorry marathoners!) it was quite lovely to walk around in short sleeves, skirts, and sandals. Before we knew it, it was after 3, and time to head back to the t-station. After all, Mike and I had a long drive ahead of us, and we had all been up since 5:30 am! I was sad we were not able to hang around for the actual marathon, but the real world was beckoning to us. It was a fabulous weekend, and Boston is quite a lovely city. I can't wait to come back for the second race in the series, the 10K in a few months, and hopefully, one day, the actual marathon!